MUNYONYO – Cuba’s capital Havana known for colourful buildings, vintage cars, salsa all came to Kampala at the weekend complete with Cuban cigars. 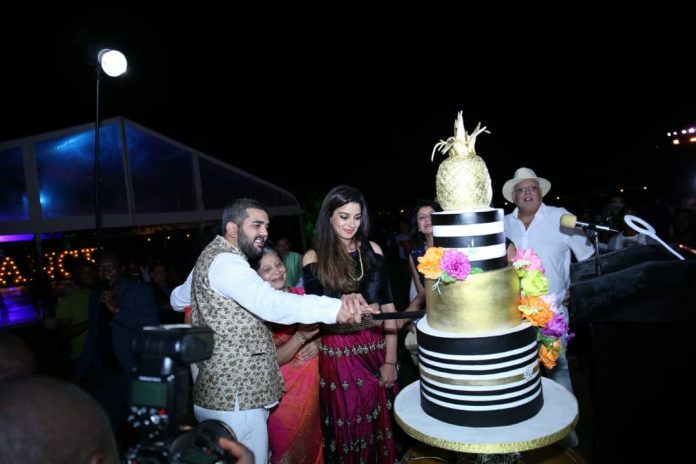 All were on display as Ravij and Naiya Ruparelia celebrated one year wedding anniversary at the colourful eat the Speke Resort Munyonyo hosted by the humorous Patrick Salvador and Malaika Nnyanzi. 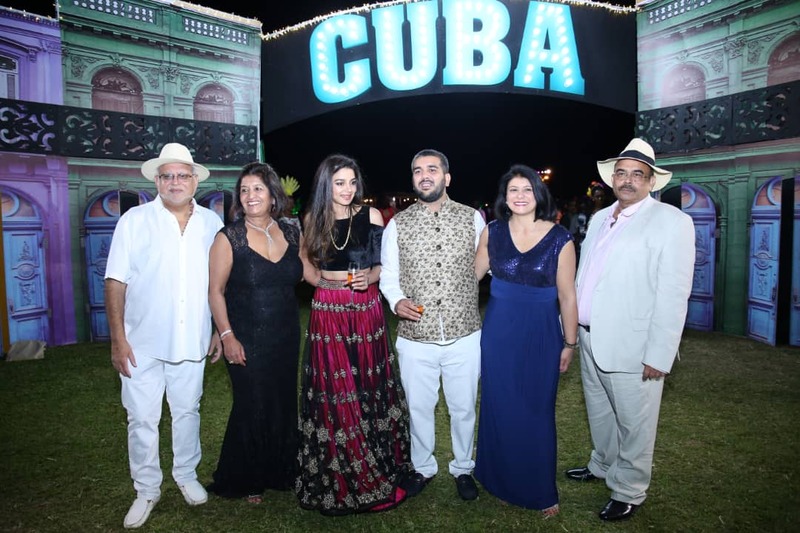 Known for his love for cigars, proud dad Sudhir Ruparelia was in the tent aptly named Cohiba Club, with several big wigs including Speaker of Parliament Rebecca Kadaga, former Prime Minister Amama Mbabazi, several city tycoon among other dignitaries. Those who loved dancing were in the Salsa Club. Sudhir congratulated his son Rajiv upon the first-year anniversary and asked him to emulate his parents who have stayed together 40 years in marriage and counting. 40 years together and counting. Sudhir and Jyostna are a gfood example for Rajiv and Naiya to emulate. Rajiv on his part thanked his dad for instilling the values of simplicity and hard work in his children. “You have taught us to dream big and act small in order to get the job done,” he said. “Mum, you have always been a soft shoulder for all us to lean on, always binding our family together. No matter how tough things get, you are always and will always be the strongest person in our household that holds eight of us now together. You have taught us how to love, respect and celebrate everyone and everything we do,” Rajiv said of his mother Jyostna. Rajiv met Naiya, a daughter of wealthy British couple Sudheer and Rita Khagram while they were attending university in London. They married at a glamorous event in London last year. Rajiv, who was born in 1990, thanked his wife for accepting him and his parents for raising and fashioning him into the man he is. He thanked his sisters for guiding him and ensuring he didn’t have a lonely childhood. 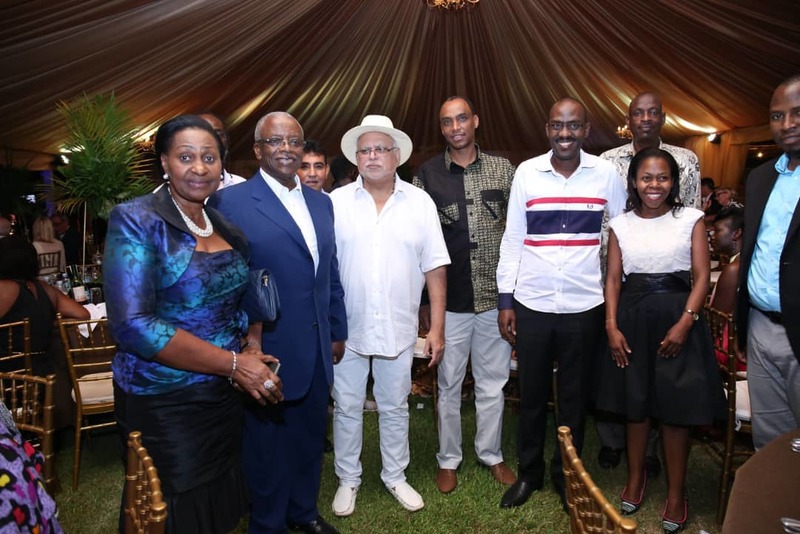 He thanked his father, business mogul, Sudhir Ruperalia, for heavily investing in Uganda and employing over 8,000 Ugandans. He promised to keep the candle burning in that direction. Their guests in hundreds partied up to the wee hours of the morning. Service staff were at the beck and call of guests delivering whatever they desired. Whether your palate fancied continental or Indian food, you were covered, not to mention the delicious South American style roasted chicken.